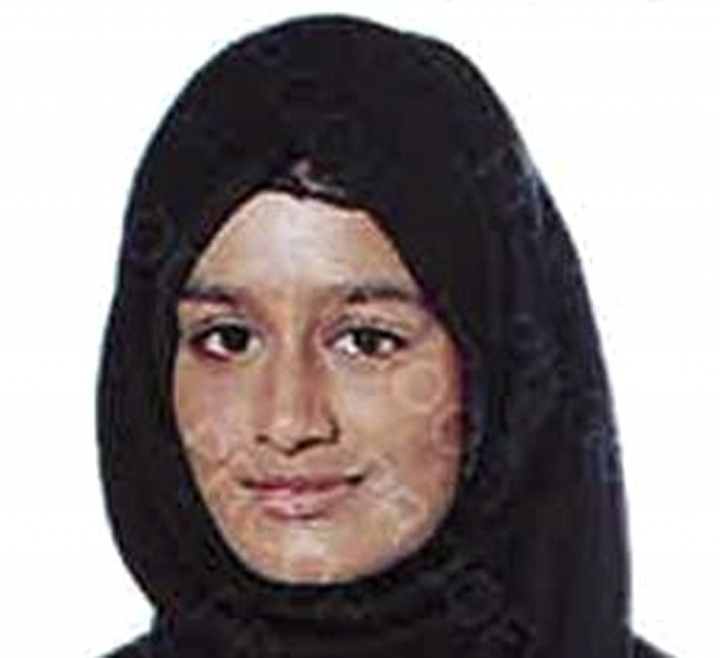 LONDON — There were conflicting reports Friday about the newborn son of a U.K.-born teenager who left her London home to join the Islamic State group in Syria, after the mother's lawyer said the boy was reported to have died. Lawyer Tasnime Akunjee tweeted that he has "strong but as yet unconfirmed reports that Shamima Begum's son has died. He was a British citizen." However, Mustafa Bali, spokesman for the military group in northern Syria, the Syrian Democratic Forces, tweeted that the reports were "fake" and the baby "is alive and healthy." But Bali later deleted the tweet without explanation, and British media then reported that the baby was dead, citing unnamed SDF officials and a medical certificate. The British government could not confirm the reports. Begum recently resurfaced in a refugee camp, and gave birth last month. Begum, now 19, told journalists that she wanted to raise her son in Britain, but the government revoked her citizenship. Begum told reporters that she had lost two other children to malnutrition and disease. Her Dutch jihadi husband Yago Riedijk, who is in a Kurdish-run detention center, said last week that he wanted to return to the Netherlands with Begum and their son. British Home Secretary Sajid Javid said last month he had revoked Begum's citizenship — even while saying he wouldn't make a decision that would render a person stateless. Javid also confirmed that Begum's son was a British citizen, though he said it would be "incredibly difficult" to facilitate the return of a child from Syria. Begum's parents are from Bangladesh but her family says she isn't a dual citizen. The family has said it plans to challenge Javid's decision.